Mondo took an existing website design and turned it into a WordPress theme. 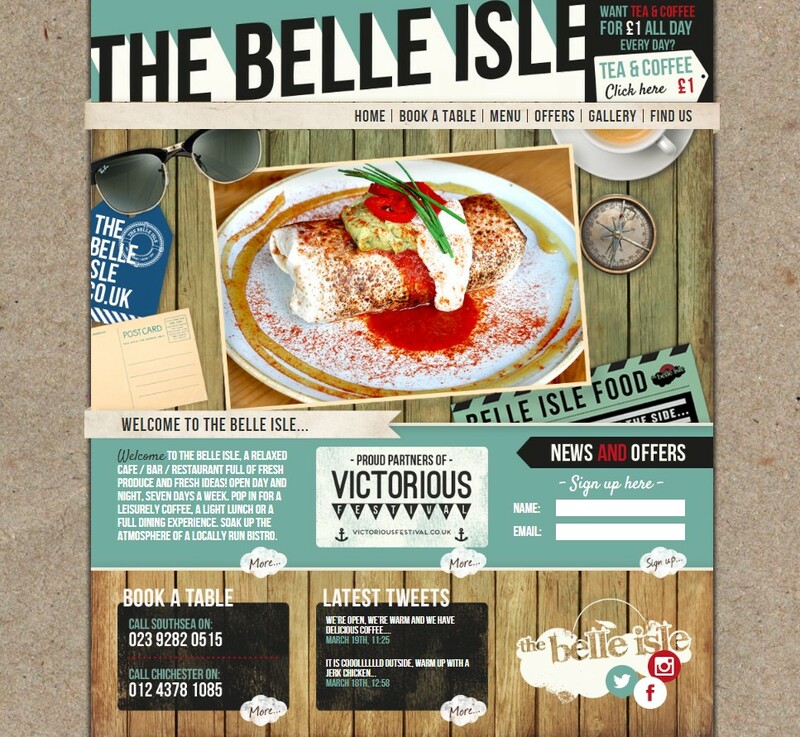 This would provide the client with easy updating of content across the site. 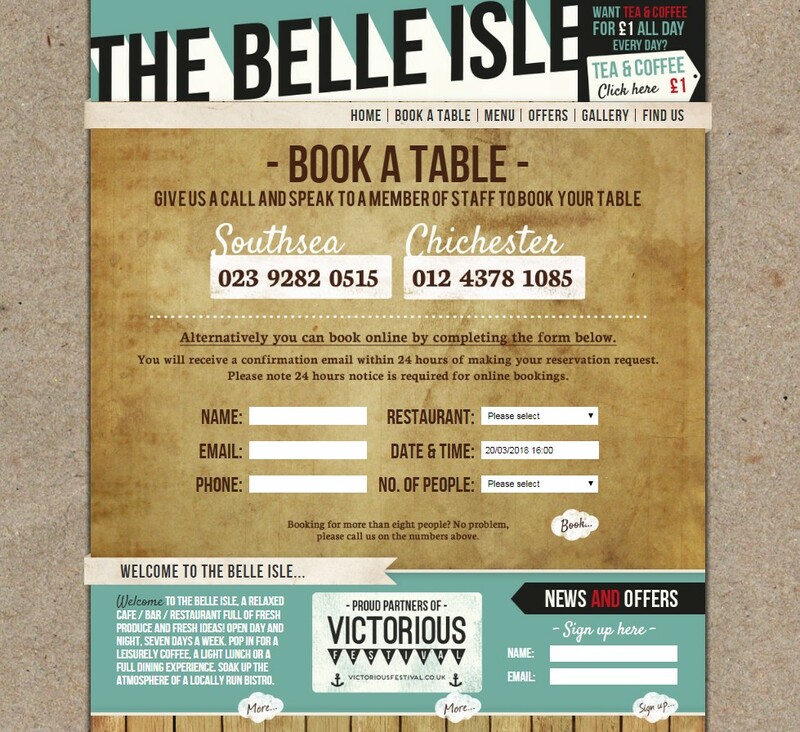 In addition to looking great the website has embedded social media highlights and a clever table booking system which allows website visitors to easily book a table at the restaurant of their choice – automatically notifying the relevant Belle Isle of the request by email. 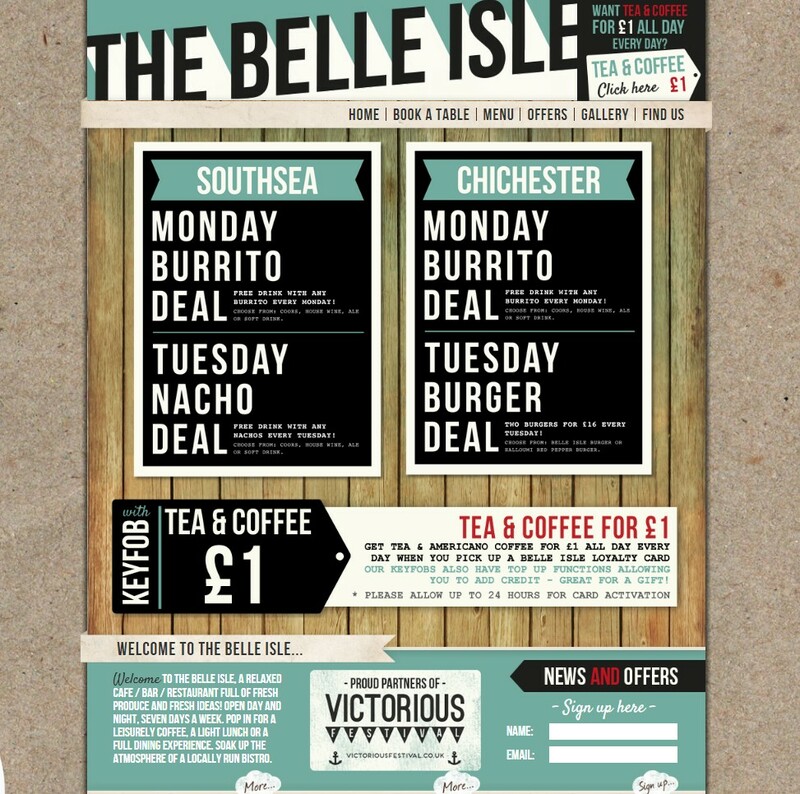 Food menus are uploaded to match those within the restaurant and can be easily printed or downloaded if required.